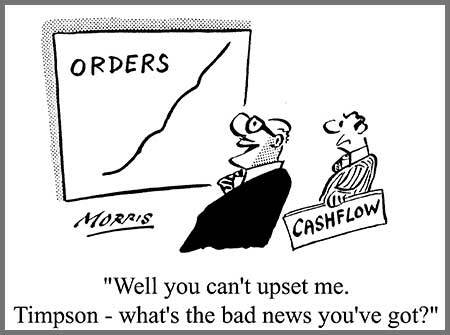 How To Improve Your Business Cash Flow Via Factoring? Invoice factoring can be a boon to your business if you handle it right. It is always great to have funds to handle your finances, meet expected and unexpected expenses in business and increase your working capital when a need arises. Bank loans may be great but they do not work for all. By using invoice factoring, which is a best option with the least eligibility conditions, you can manage your financial needs perfectly well. You cannot always predict when an urgent financial need would arise. Even if you are eligible for bank loans, the process involved for sanction of loan could be tiresome and definitely not as fast as invoice factoring. Moreover, you do not bind yourself to any long term commitment if you seek factoring firm for cushioning. You can have a comfortable arrangement where you can seek their help when a need arises. Since you get paid on your invoice, you do not suffer the hassles involved if you go for a loan. The procedure is quite simple. Once you have your invoice ready for a product sold or a service offered, you can send it across to invoice factoring firm, which, after verification pays you up to 90% of your invoice value in advance. You get the remaining amount paid after deducting a nominal fee once your customer pays your bill. This arrangement helps to improve your cash flow. Let us see how. Forbes.com published recently an article about enterpreneurship highlighting 5 secrets Entrepreneurs Will Never Reveal. 1. It is lonely at the top. Yes, it’s cliché but that is what it feels like when you always have to make the final decision and bear the ultimate responsibility. You can get advice from a management team or an advisory board, but the buck stops with you. Remember: There are always upsides. When things go bad, it’s your responsibility. When things go well, you get to enjoy the profits. 2. They have doubt daily. For all the bravado, ego and beaming confidence, entrepreneurs daily have a crisis in confidence. They think – “what if I am wrong?” No amount of reassurance from customers, employees or advisors can quell this nagging fear. Remember: Every entrepreneur has doubts. An uncertain outcome is what makes the business so exciting. 3. They fear failure. As much as they say they value failure as a way to learn, they are scared when it happens to them and wonder if they will ever recover. Many times there is really nothing to learn from failure. Remember: When you do fail, learn what you can and then let go of it. This will give you another opportunity to succeed.